Kairos Autonomi thinks differently about autonomy. Rather than build expensive, purpose-built systems, Kairos Autonomi produces high-quality, cost-effective solutions that can be retrofitted or "strapped-on" to any existing vehicle or vessel that has a steering wheel. 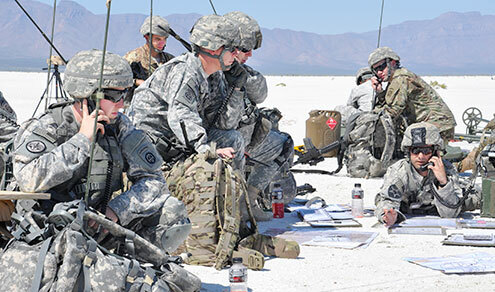 Effectively create a fleet of optionally unmanned, tele-operation or semi-autonomous ground vehicles to handle a host of operations. Kairos Autonomi participates in the US MILITARY S2ME2 Advanced Naval Technology Exercise 2017. CBS was there to highlight the event at Camp Pendleton. This video shows an AAV maneuvered from the water to the beach by Pronto4 Robotic Applique Kit along with the newest version of our sensor suite - the Running Horn. 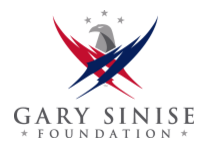 Kairos Autonomi is proud to support the Gary Sinise Foundation by contributing to their R.I.S.E. program’s 28th specially adapted smart home designed for America’s most severely wounded heroes and their families. The Ground Vehicle Autonomy Tour continues to roll across the United States. We have been throughout the country performing demos with one of our unmanned ground vehicles. Check out our travel log to see where we have been. We will update the log with maps generated from our ProntoMimic software that show the autonomous routes we drove. Check back often for updates!